After my career as a musician ended I got a job in real estate sales which to my surprise, I was really good. I tell people my years as a musician prepared me for a job in sales because I had already learned to handle rejection really well. 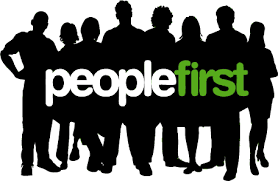 Early in my sales career I learned a valuable lesson that has helped me along the way- To put my own people first. I was working with an out of town client that wanted to view properties on a Saturday, which isn’t uncommon. This particular weekend happened to be my 5-year wedding anniversary. On top of that I live in Ann Arbor and it was a Michigan football Saturday with a really big game against Wisconsin. To make it even tougher, it happened to be a beautiful fall Saturday, cool and sunny, leaves just starting to change, perfect weather for jeans, a tee shirt, tail gaiting and a day at the Big House. Yet with all this I chose to spend my day with a client I’d never met before, and no guarantee that they would actually buy anything. After spending the day regretting my decision to put a client first, I finally got to my family. My wife was still visibly upset that I hadn’t spent the day with her and my 3-year old son, and feelings of guilt caused me to overcompensate for making the wrong choice that day. I justified my decision by arguing that I needed to earn a living for our family. Not my best moment as a husband or father. To top is all off, on Monday I found out that the client had gone behind my back and bought a new construction property directly with a builder, effectively cutting me out of the deal. To be honest, I wasn’t even that upset because what I learned that day was the more valuable than any commission, and one of the best lessons I ever learned in sales or in business. I vowed that day I would never again allow a customer or client to come before the people I value the most. Today I work with many organizations that like to say they are customer centric, or put the client and customer needs first above everything and everybody. While I completely understand the concept, what message does that send to the people that we are actually counting on the deliver that service to our customers? It says that at the very best we put our own people second. And let’s be honest, most will put their family, faith and friends in the second, third and forth positions. So in honesty we actually place our own teams and those we rely on to do the amazing work we count on them to do everyday, somewhere in the back-half of our top-five. Interesting? And yet we expect these same people to go above and beyond our client and customer expectations on a regular basis. Look I get it, clients and customers are extremely important to every business, mine included. And let’s face it, without clients there is no business. I will bend over backwards to deliver high value for my clients and always strive to exceed their expectations. That’s what I’ve built my brand on and will continue to do so. The thing is, as much as I value my clients and the relationships I’ve built with them, if continuing to work for them meant I would have to sacrifice one of my own highly valued people in my own organization, then the choice is obvious. I will side with my own team member every time. They are now a part of my family, and they are the ones that I need to support and put first beyond anything else. And if I’m honest, the choice isn’t really all that difficult. Remember I made the mistake before of choosing a client over those I value the most and I learned my lesson. If I want to build a successful, long term organization that consistently delivers high value, high quality service to the clients I claim to care so much about, than I had better make it my number one priority to take the best care of the people I’ve entrusted to do so. Something I’ve watched successful companies do over the years is that they hire smart, highly talented and motivated people. They then place them into a culture where they feel valued and heard, provide them with the tools and training they will need for success, and most importantly create an environment that will allow them the opportunity to actually be successful. And when they do that, well guess who gets amazing, high quality, above and beyond service? The customers and clients- and isn’t that what we really want? You can always go the other direction and place your highly motivated, talented people in a toxic, unsupportive environment, where they feel unvalued or unheard. Some of them may actually defy the odds and still deliver high quality service, but I will also tell you they are cleaning up their resumes and shooting them off to everyone they know. By the way, our Millennial friends won’t even consider the later choice, they will simply say thanks but no thanks and move onto a place that puts their own people first. If I asked my team what we value the most in our organization, what would they say? If you are a client/customer first organization, how is that working for you? You say you are a people first organization, what are you doing that support this idea? How are you planning to put your own people first?